A pair of giant pandas has been released into Liziping Nature Reserve in China’s southwestern Sichuan Province. Called Ba Xi and Ying Xue, the two disappeared into the forest but will never be lost entirely as they’re fitted with radio monitoring equipment to track them and collect data on how they’re adapting to the wild and whether they’re integrating with wild pandas. In October last year two female giant pandas were released into the wild. 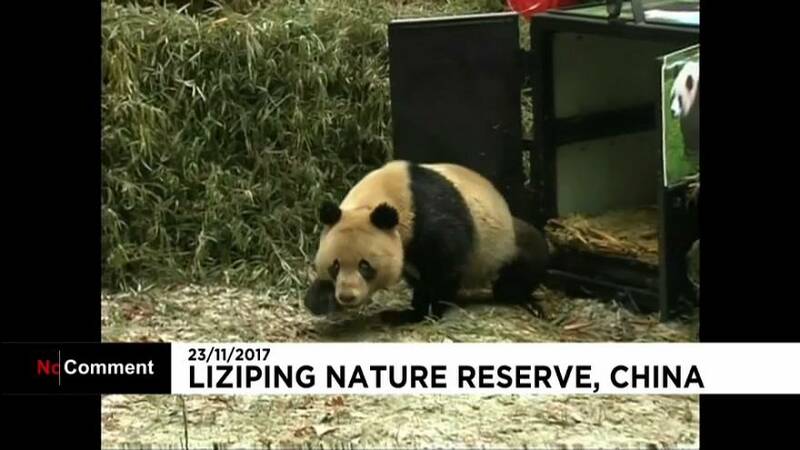 The month before Hesheng, a captive-bred panda, was found dead in Liziping reserve after being attacked by unidentified animals. He had only been released into the wild two months before. There are only about 1,600 pandas in existence, mostly in China.